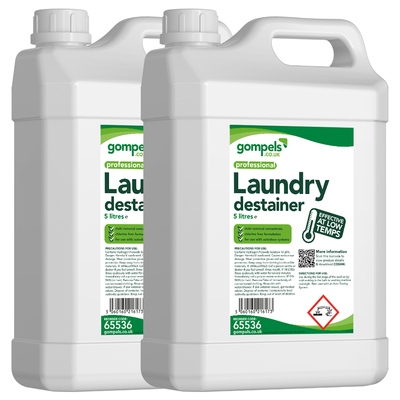 As part of our own branded range, this Gompels Destainer comes as an economic alternative to traditional and leading brands. The large multi-pack is an ideal choice for high-traffic or busy environments such as care homes or nurseries while also working with both autodose systems and automatic washing machines. Using Hydrogen Peroxide in it's formulate, this destainer effectively cuts through stains and softens them for easy removal during cleaning without damaging your clothes. Leaving behind no chemical residue, this larger bottle offers a compact storage option along with a budget-friendly price tag. For the safe and contained washing of contaminated items, consider adding the Dissolvo Sacks Red to your basket today.